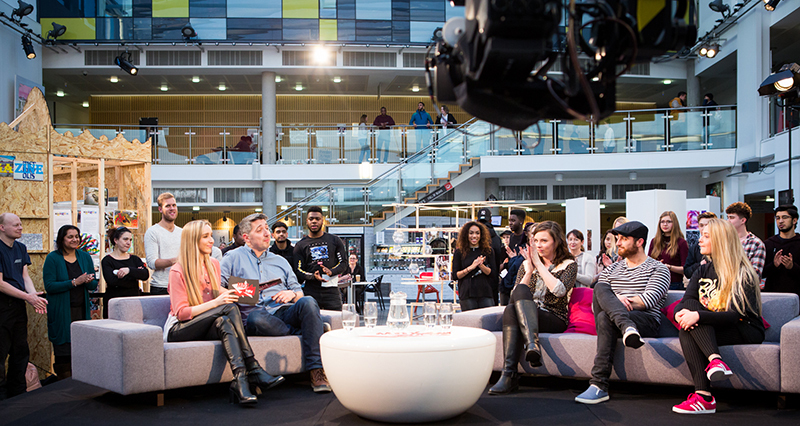 Students from all years of BA Television Production came together to record a live TV programme in the Grove Building at Middlesex University on Thursday 19 January. The magazine chat show, entitled MDX NOW, is a collaborative production focusing on the success of current and former students from across the Faculty of Arts and Creative Industries. Students took on a variety of different roles including presenting, operating cameras and controlling lighting and sound. Kasia Mazur (shown in the below picture), a second-year television production student, was responsible for managing the lighting board - an important role that influences the look and feel of a production. “Because the course is practical and hands-on, I’ve been able to build up a lot of experience working in lighting,” she explains. Also working behind the scenes was Elvin Charles, a second-year BA Television Production student. “As a camera operator, I need to be both patient and on the ball because rehearsals are two hours long and sometimes the director might go off-script during a live production, so it’s vital you constantly listen to what they’re saying,” he says. MDX Now was coordinated by Dale Wightman (above, centre), Lecturer in television production, as a way to capture the hands-on and collaborative nature of the television industry the degree prepares students for. “The course is very practical as we have a focus on getting our students ready for employment,” he explains. Current students were also joined by alumni including Alastair Watson and Jamie Nichols - both Middlesex performing arts graduates - who featured as guests and presenters on the live show. 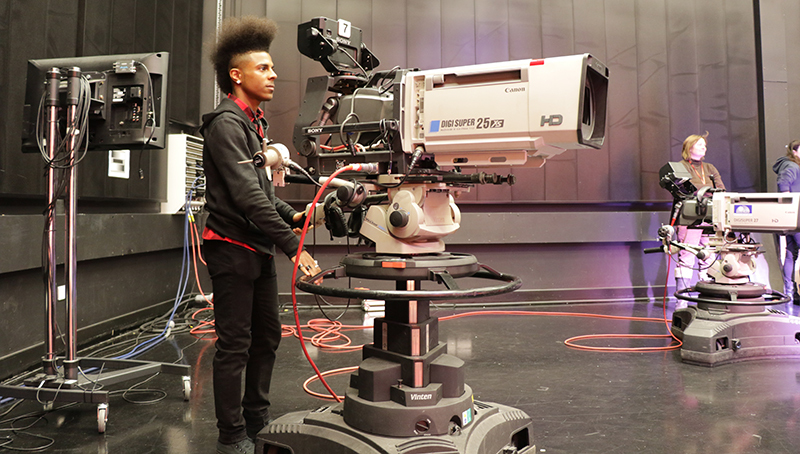 Middlesex’s BA Television Production course is one of the most practical and career-focused television degrees in the UK, having been developed in close consultation with the television industry.